Towels and Terry Cloth… Ouch!.. 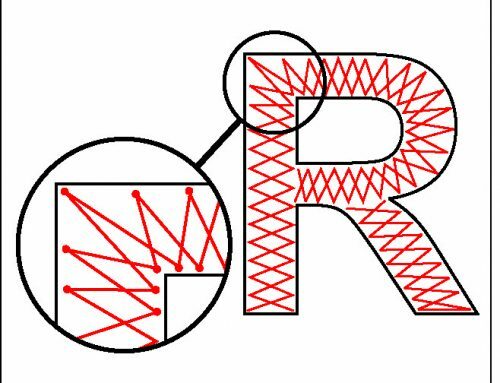 I’ll have you know I tried hard to think of some way to make this article a little light hearted and not just a technical manual, so I might as well apologize in advance as its best suited for all us embroidery geeks. 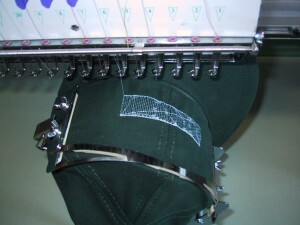 Embroidering on terry cloth falls into one of the “unique” categories that like any application in embroidery production should not be an issue of difficulty if the proper steps at the digitizing level have been met. There are a few basics that the embroiderer does need to follow if they expect to produce quality goods on this type of fabric. For those of you who have not yet experimented with terry cloth at the production level, here are a couple of basic rules to follow. Most will agree that using Rayon thread over Polyester is preferred for embroidering on terry cloth in regards to both run ability and the lifespan of the embroidery itself. Using solvy, a water-soluble plastic film allows much more detail to be seen on designs and is a must at the production level. For the most part, a tear-away backing is advisable to provide needed stability for your design, but cut-away and solvy can also be used as backings in certain circumstances. Over the last few years as the popularity of both single-head and home embroidery machines have hit the market, individual personalization of products by the means of monogramming and keyboard lettering name drops have quickly become a popular and profitable market. Purchasing lettering and editing software has become an industry standard and terry cloth requires specific values that won’t apply to most other fabric types. Density on your column and fill stitches will need to be increased about 10% to 20% from standard goods. Increasing pull compensation values is needed to counteract the thickness and pile of the fabric. 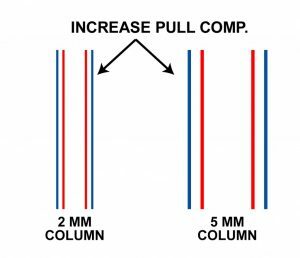 The amount of pull compensation should increase incrementally as the thickness of the columns do. Zig-zag underlay even for smaller lettering with thin columns is advisable to help mat down the terry cloth and will aid in not allowing the underlay to fall outside the column stitches. Thicker columns over 3mm can use both edge run and zig-zag underlay types, the edge run will help maintain clean edges on your columns. 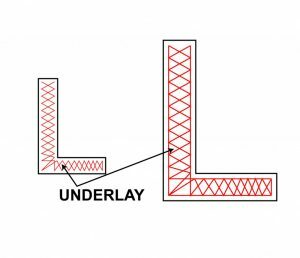 Another way to add extra dimension to you monograms, embellishments or elements of your corporate designs is to build up the underlay to create a bit of a three-dimensional effect on your column stitches. It is a very visually effective technique however it is also more time consuming as all of your underlay needs to be built up manually. The general idea is to use it on thicker columns that are at least 4mm wide. You start by building up multiple runs on underlay towards the center of your column areas. Be fairly excessive as this is your “cording” so to speak, that is going to push up your column stitches. Next you will manually place zig-zag stitches that run slanted on a 45 degree angle on the first pass and opposite in direction on the second pass creating a webbed effect that holds in all of the center run underlay that you placed down first. Now when you place your satin column stitch over top, you’ve created a convex ridge of underlay that forms more depth. When using this technique, try not getting to far ahead of yourself before following up from your underlay with your columns. If you do there might be some movement in the design and the underlay could start popping out. Getting creative with this technique within corporate designs can have dramatic effects if you choose your design elements properly. Digitizing for terry cloth does pose a few challenges, the same values that apply to settings regarding density, pull compensation and underlay need to be followed when custom digitizing. Also fill stitches will need more stability within the underlay by using cross-stitched underlay as opposed to the standard opposite direction underlay. 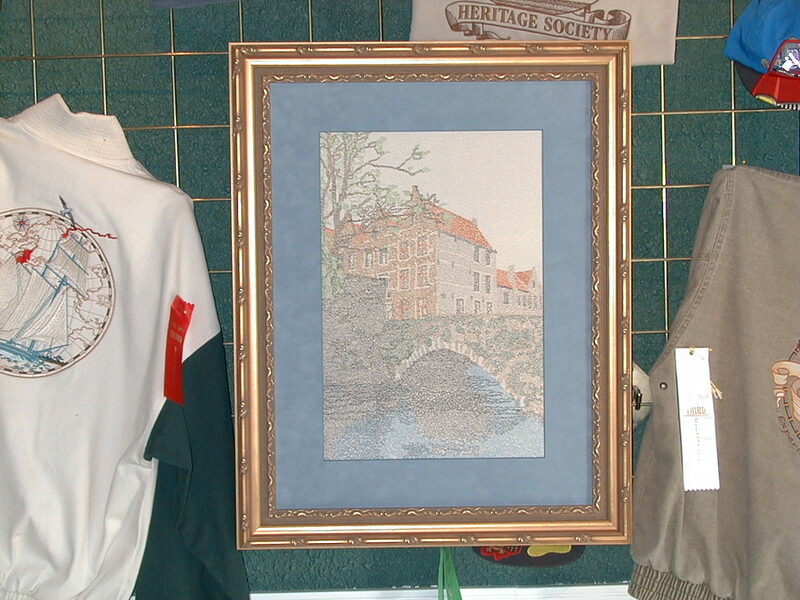 Corporate designs that have already been digitized are many times embroidered on terry cloth as an after thought. Luckily, software being as it is today, we can easily and quickly modify the values of these designs without having to re-digitize them. The only time we seem to run into some real difficulty is when the design elements consist of a lot of fine detail and small text. Here are a couple of “easy fixes” when you find yourself in this situation. The first things we usually try is incorporating a 1/3 fill the same color thread as the fabric. Placing this fill either behind the entire logo or just behind the portions of details or text that embroiders directly onto the fabric. 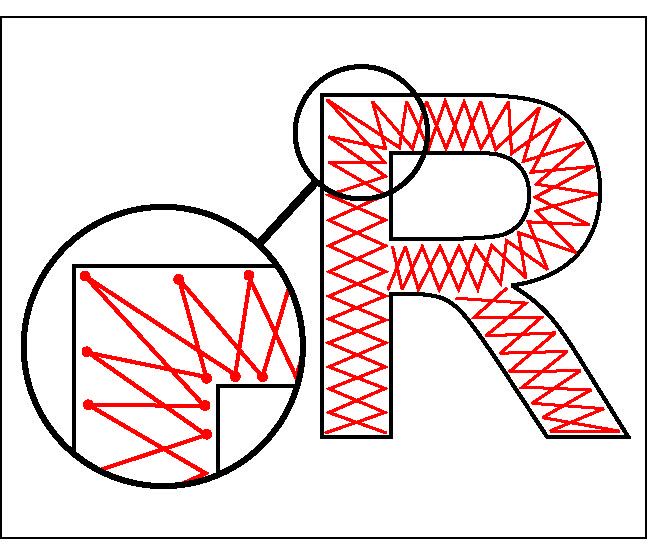 This fill is to be digitized with no underlay values and should only include a tie-in and tie-out function. Because it is simply a loose fill it won’t add great deal of stitches to your design and will assist in matting down the pile of the terry cloth for your lettering to sit on top. 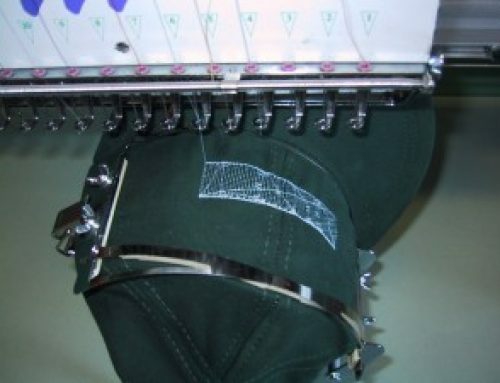 The second option we used when embroidering corporate logos was creating a series of generic appliqués shapes in various sizes and running the designs on top of the appliqués. Cataloging circles, oval, squares and rectangles in various sizes can translate into quick edits that will work for most logos. This solution is a little more time consuming and costly for your customers, but the results are embroidery quality that resembles work done on standard materials. One thing to watch for is that you make sure your material blends are fairly consistent, if your terry cloth is 100% cotton follow suit with your appliqué fabric to try and minimize varying shrinkage with the differing materials. Appliqués on terry cloth also work well and are more cost effective when embroidering decorative projects geared more towards the retail market. 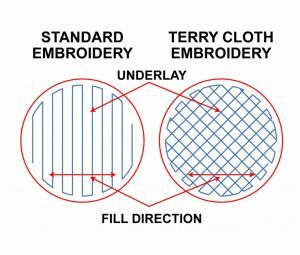 Stitch counts remain lower while resulting in more coverage area, especially since more density and underlay is needed when embroidering fills directly on terry. Now for a tip that fringes on the creative side and can still be used within the corporate market somewhat. 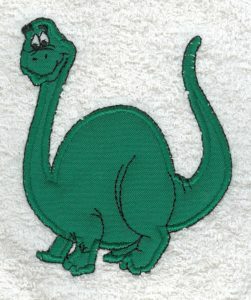 We used this technique while running single color designs mainly on beach towels, however it can be done on anything terry cloth including golf towels. First you need to hoop solvy within your frame instead of pelon, and then wind your bobbins with the same thread color as using for the front. 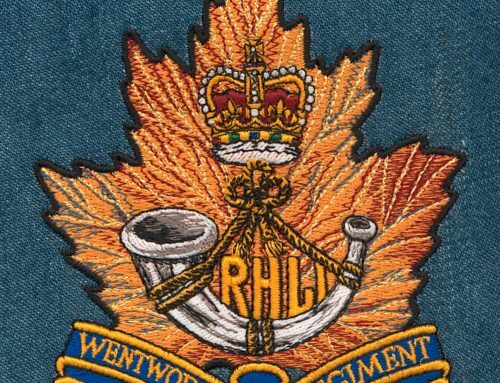 Obviously it works best with embellishment designs and symmetrical logos that are reversible but even when a design doesn’t hold these attributes it still gives the embroidery a finished look on the reverse side. Creating loose fill designs specifically for this technique generally works best because of the lack of stability by not using the typical backings. On the other hand once the solvy dissolves away it tends to lend itself well to the intended purpose of being functional and absorbent. Finally, and the easiest option, is if you have either Hatch or Wilcom Embroidery software (If you don’t, click here to download a full 30 day free trial of Hatch). These software programs come with an “Auto-Fabric Assist” tool which at the click of a button automatically adjusts stitch count, push & pull compensation and density virtually perfectly for the type of fabric you’ve selected. Yes, terry cloth is an option. Moreover, you can use a simple technique called the “Hatch Smash” technique for optimal results as well! Mastering your skills with this seemingly difficult medium and becoming more creative and experimenting with different techniques will quickly expand your involvement in this presently growing market. If you enjoyed this article or have a question, don’t forget to leave a comment below now. Thank you for the information about Terry cloth. Very useful and good information. I wil use it with my digitizing. My pleasure Lucienne, happy to help! Thank you, John, for showing me how to do the “hatch smash” stitch. 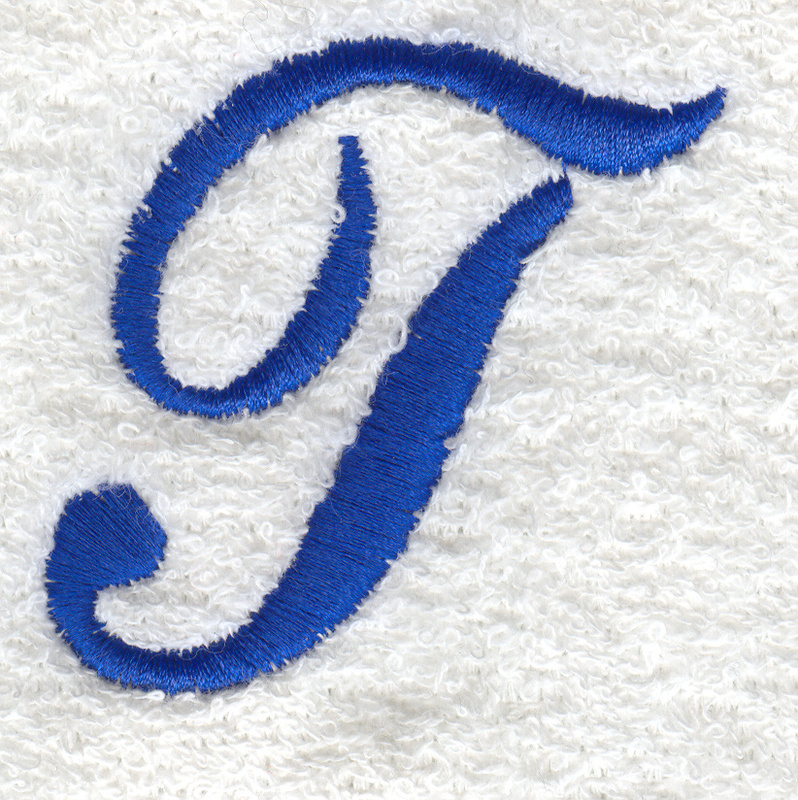 It has proved an invaluable tool in creating crisp, defined designs on terrycloth, especially the lettering. My pleasure Gail. I couldn’t agree more, it is an invaluable tool.